A Devon Conservative MP has paid back nearly £400 he claimed on expenses for a designer leather carrying case for his laptop. 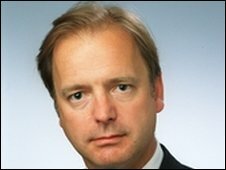 Hugo Swire, MP for east Devon, paid £395 for the laptop bag from luxury accessories firm Mulberry. Many of the brand's products are favoured by A-list celebrities. Mr Swire said he had not been asked to pay back his expenses claim for the laptop bag but did so as he thought it could may be deemed "extravagant". "It's a leather one - I use it every day," he said. "But when you start going through four years of expenses pile after pile the only thing that stuck out was this bag. "I thought it could be extravagant, I took a sounding from the rest of my office and I offered to pay it back so I paid it back fully. "I have not been asked to pay it back by anyone but it was the one thing that I thought could be deemed perhaps to be extravagant."